We love creating and building new products for these vans. For some of you that are to big of fans of the tube style bumper (west coast thing) we added a new plate style bumper to the lineup. 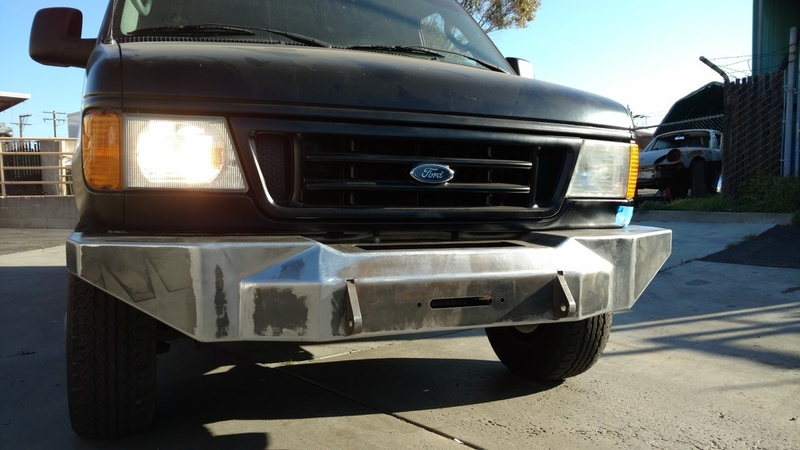 This bumper is strong to say the least, as it is all steel construction. The winch can be fully concealed with a removable to plate or be used for storage. On this bumper you could have the option of adding additional tubes to the top to protect the front grill and lights. We are going to add some lighting options also, but just wanted to give you guys a peak into a new product. That looks awesome. I'd love to hear pricing when you get that far.